- New designs of the cars of 2011 known up to September 2011. - Shine on the sides of tires and design update. - New Showroom more attractive. - Changes in the distribution of braking from 1% to 1%, i.e. to vary in a 10% brake bias forward to speed enough to overtake touching the assigned button 10 times. Unthinkable until now because the variation was set at 0.2%. Manage this parameter from the steering wheel comfortably facilitate overtaking. - More choices in the "rFactor - Telemetry in Screen.exe" with 5 options rfDynHUD 1.3 plugin configuration. - 4 Types of tires, hard, medium, soft and supersoft differentiated by lateral colored Pirelli. - New designs of all the cars with many new features and general tweaking such as cameras, mirrors, light rain, and general sheet metal and paint. - Parc Ferme. 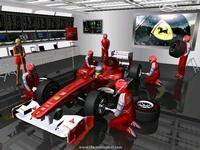 A new feature is installed by default ParcFerme, ie have to use a single set-up for qualifying and race. Works as follows: When we go to the qualifying session, you can load adjustment, edit etc, but when registering a time, the setting was blocked and no longer will change nothing more than fuel and we tire. The creator of a session can cancel changing setting, in the PLR, the Multi ParcFerme = "3"
- K.E.R.S. System incorporated. Calibrated for wear, use no more than 7 seconds back or suffer irreversible damage your engine. To use it you must assign a button the "System K.E.R.S." on the screen of "Controls". It delivers enough power to 10Kmh increase in the speed of the car. - Substantial change warming the tires and wear. The Hard and the medium tires are heated rapidly (over the media) and are designed to last about 10 laps (in wear x2) on a track like Barcelona (data release). The Soft and super soft also heated rapidly (over the supersoft) and are designed to last no more than 6 laps (in wear x2). - Reduce by half the negative impact on the radiator opening in the aerodynamics of the car. - System of engine wear. Three engines to choose according to the races. The default engine 770cv is known that we have toned down the speed of heating, the second engine has a loss of effectiveness of 2.5% and heated something else. The third engine is a loss of effectiveness of 5% and heated to the same rate as 2010. The idea is to use the proposed MaxRufus is i.e. 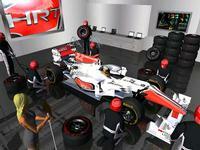 using 4 engines for the entire season (10 races) and manage each pilot freely according to Grand Prix starts. - Wear System Gearbox 5-level system with the same use the engines. - Mechanics (4s, 8s, 16s). I have kept in case any league uses. - Weight reduction system. Four levels of weight reduction (20, 40, 60 and 80kg) to provide opportunities for the less experienced. - Weight 640Kg standard with or without K.E.R.S. - Reducing the weight distribution of fork rates to 45.5% - 46.7% front and 53.3% - 54.5% behind, according to the rules 2011. - Selection of Traditional Nenu or Professional Menu XUI 1.8 from the application "RFactor - Selection of Menu.exe" included in the root of the program. - Spotter included in Spanish. 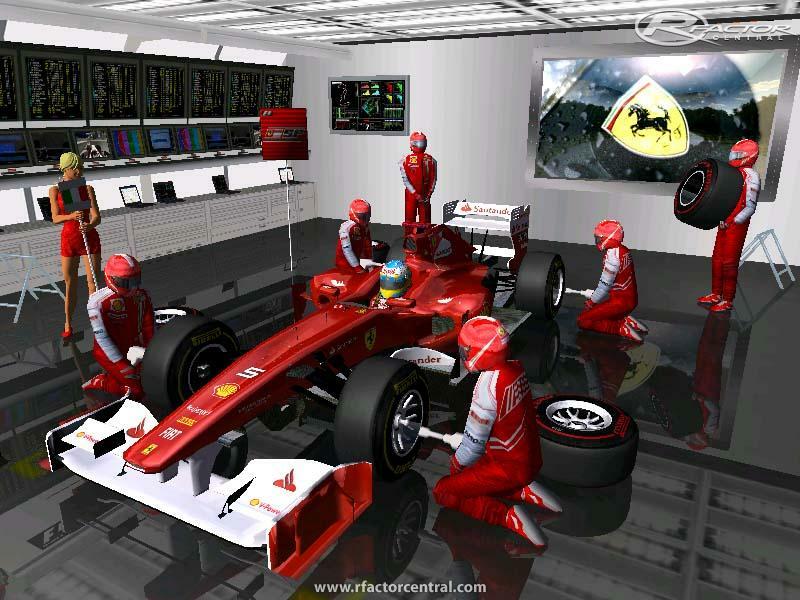 You must to install it with the "Spotter - Ingeniero en Pista.exe" included in the folder "complementos F1 Total". There are currently no setups for F1 TOTAL 2011 SP3. Add a Setup. This mod is not really raceble as far as I can tell, at least where the AI is concerned. I dont like that it displays certain data onscreed and it does not seem to be able to be toggled, and ends up in all of my other mods and cars throughout rFactor. The biggest thing however, is that the speed and performance of the car is not correct. On tracks with long straights - I used Indianapolis for example - I cannot seem to exceed more than approximately 175mph, and have removed all downforce items entirely and tried every gearing combination. The top speed at Indy for these cars should be around 190 and up. The AI cars are much faster from the mid-range on up. I eat them up in the corners (with no wing or downforce at all) and then once on the gas on the exit, they fly right by me. On long straights, it is not even possible to stay in their draft. This is not correct at all. If I paid for this, I would be thoroughly pissed. This is among many other detail issues I see here as well, but those are not particularly annoying to me as they barely effect race-play if at all. Also, on a number of tracks, when in race mode, the car dies after about two laps, as if out of gas...yet is completely full. I cant figure that one out for the life of me, or why it would happen on certain tracks on not others. Hi, does it have DRS? Yes, it has but it is assigned to "Increase Boost" key. Jion Boina you have sent me a rMail. I answered your rMail it looks to me you still haven't read it. Will you please read your rMail? Have a virus in all your trackpack! Avast detect him. This is a trojan thanks! 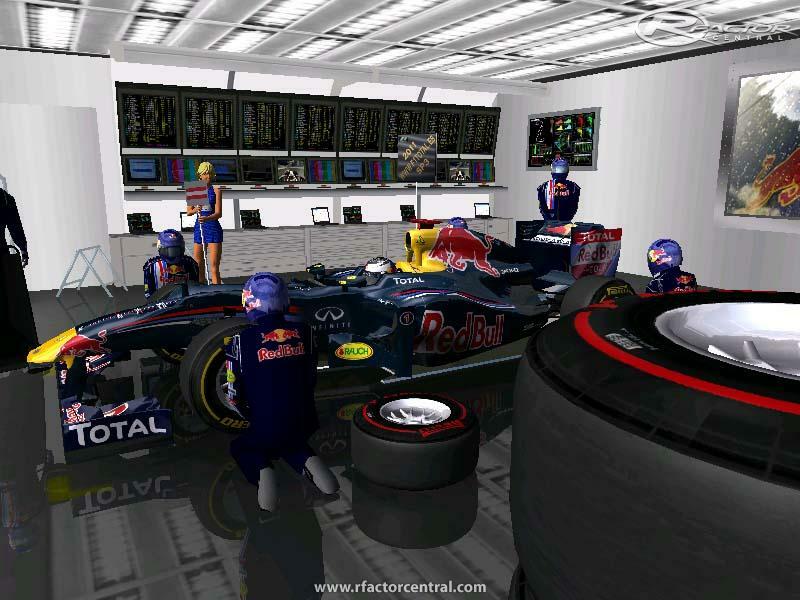 Tested other rFactor installations and they worked okay. Discovered that the 'Out of Range' message is HP Monitor related something to do with monitor being unable to display in the range requested by the graphics card, so does not seem at all related to the mod (I hope). Ran the mod again and no problems. Tried the Monaco track and the dip near the overhead Marlbaro sign on the downhill seems a bit unreal - the cars get airborn. Have to check if any other versions of the track have the same big dip there. I got an 'out of range' message from the monitor after installing track pack 2-4 and 3-4. Prior to installing those two had just run mod without any track pack and also with just track pack 1-4 and all was fine. I scanned the installation with Malwarebytes and it found a trojan in 'DataAnalysis.exe'. Avast and Superantispyare found nothing. I then loaded that file up to Virus total and 4 out of 43 positives - McAfee, McAfee GW edition, ClamAV and Emisoft. That's only a small percentage, but it is worrying. What does that file do and is the mod still playable without it? Are there other mods that have a DataAnalysis file and would they be usable ( I doubt this) instead if found to be clean of trojan? antivirus detects a virus in track pack 1/4 nd removes it, cn anyone confirm if file is safe?